On early July 2018, I bought a lot of Mamonde's products from Hermo website. In this time, I would like to make the small review about the Mamonde Perfumed Hand Cream Camellia Petal (50 ml) with the normal price, RM 31.00. The Flower Perfumed Hand Cream that is rich in hydration and contains the natural scent of the flower, which improves your moon and also treats the hands to become healthy and beautiful. The pleasant floral fragrance fills the air upon application gently stays on for a long-lasting. The packaging with flowery garden images, beautifully designed package makes you confident to take it out anytime, anywhere. 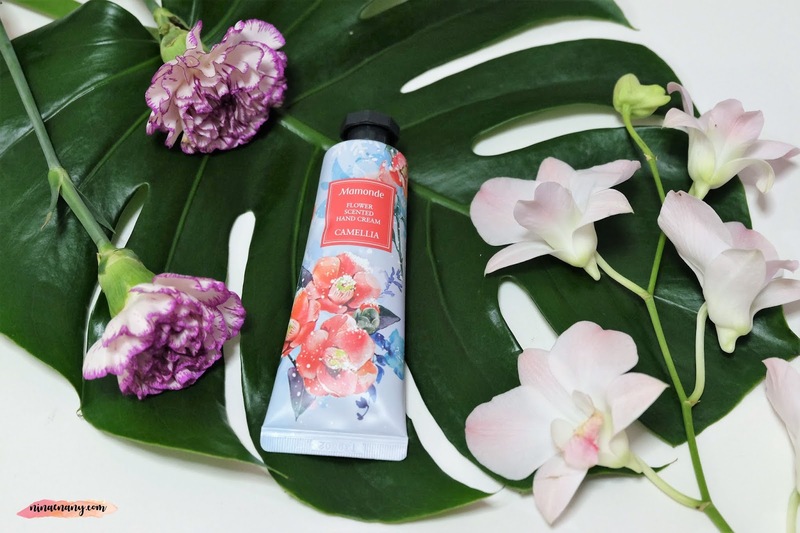 The Camellia Petal is a butter-type hand cream that delivers rich nourishment with a soft melting feeling. It is also highly moisturizing, anti-wrinkles, and thermal sensation. The warm and high-moisture hand cream that makes the hands supple and smooth inspired by the vitality of camellias that blossom in mid-winter. I like this hand cream and its work well on my hands. I would like to give the 4 stars out of 5 stars to this product and I will repurchase again.